Your attic is warm, dry, spacious, and safe. 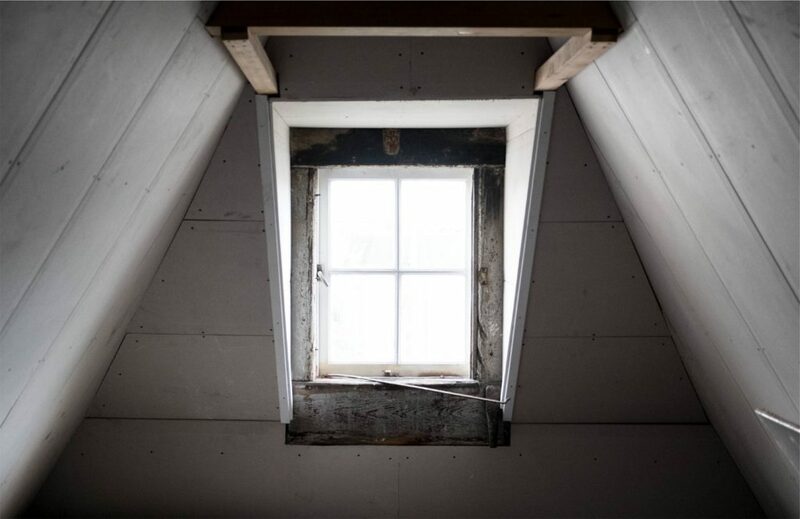 These conditions make your attic the ideal home for bats, rats, mice, and a neighborhood favorite, squirrels. 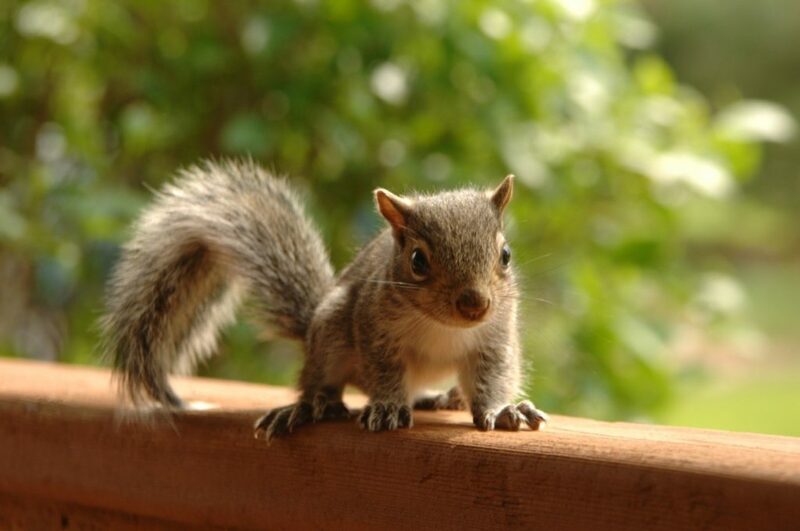 Tree squirrels are common household pests, particularly found in homes in the fall and winter. They’re known for carrying ticks and bacteria that can easily spread numerous diseases, such as ringworm, typhus, and more. Squirrels are persistent creatures; they may be innocent when they’re running around your yard, but not when they’re occupying your home. In fact, they can be pretty destructive, ripping apart your home to make room for their families. If you can hear squirrels scurrying up and down your walls, they’re likely destroying your drywall, wood, and electrical wires. If this is the case, it’s time to take action to keep these animals out in the wild. While they can be a nightmare to live with, it’s possible to get rid of squirrels for good. Here’s how to get rid of squirrels in your attic and completely eliminate the infestation. Did the squirrels trample all over your insulation? Are they eating their way through your fascia board? Is their urine and feces all over your attic? Has your house lost power? You need to know where to start before tackling the problem. By looking at the evidence, you can predict where the squirrels are coming from. Try and find a path that a squirrel might take to enter your attic. They’re great climbers, so you may have to think outside the box if you want to determine how they entered your home in the first place. You might have more than one squirrel living in your attic. There’s a high chance that the squirrel entering your home is a mother who is trying to find a place to nest. If you’re dealing with a litter of baby squirrels, it’s going to be more difficult to remove them. First, you want to check and see if you can find the nest and babies. The nest should be relatively close to where the squirrels enter your attic. Make a little bit of noise, and listen closely for some stirring. If you’re unable to find the nest, wait a couple weeks until the young can move around. They’ll not only be easier to spot, but they’ll also become more likely to exit your home on their own. Plus, at this time, the mother squirrel will be less protective over her young. Well, not a literal push—we actually encourage you to refrain from touching them altogether. Squirrels always look for the best possible opportunities to settle down and enjoy themselves. Don’t let adult squirrels get comfortable too quickly, because they won’t always want to leave on their own. Keep the lights on or play loud music in the attic. You can also lure them outside with food—they love peanut butter and apple slices. Do whatever you need to do to keep the squirrels from returning. If all of your attempts at getting the squirrels out of your attic have failed, contact a professional. When executing your plan, make sure you don’t kick them out while they’re in plain sight. They may feel threatened and attack you. Squirrels rarely bite, but it’s best to stay cautious as you’re giving them the boot. Unfortunately, this isn’t as simple as it sounds. Squirrels can wriggle their way through fairly tiny holes, so you’re going to need steel mesh to seal off these holes; we recommend using ½” wire mesh. This means you need to seal off roof vents, eave gaps, and other possible entry points. But be very careful—you don’t want to accidentally trap any squirrels inside! Experienced professionals can properly block any possible entry points, ensuring these rodents won’t invade your home again. Be sure you do this in the summer, when it becomes too hot for squirrels to inhabit your space. If you don’t block off the entrances leading into your home, you’re certain to find more unwelcome visitors. Don’t forget to purchase a chimney cap; squirrels can enter your home through your chimney, too, and many homeowners overlook this. Additionally, trim any tree branches that give them easy access to your roof. Once you have everything sealed off, offer squirrels an alternative place to live. Try installing a squirrel nesting box on your property (but away from your house); you can either purchase one or construct one yourself. While you may be getting antsy to use a trap or repellent, an expert always knows best. They know that traps aren’t the “be all, end all.” Furthermore, they understand that poisonous bait and pesticides aren’t the solution. Professionals will use a disinfecting fogging treatment to get rid of illness-causing bacteria. The treatment also removes residual pheromones that may attract other squirrels. A professional’s help ensures you can remove squirrels from your attic in an effective, humane way. Squirrels aren’t an easy pest to handle on your own. If you need squirrel removal in Dallas or the surrounding area, contact the experts at Legacy Pest Control. We’re a full-service pest removal company that practices safe techniques to keep critters out of your home. We get an abundance of calls to take care of squirrel invasions, so we how to remove squirrels from your attic and keep them out for good. With numerous years of experience and a passion for protecting our clients’ homes, we do all we can to keep Texas properties pest-free. Our team is certified and insured, and we stand behind our work, guaranteeing our services for two years. Not only do perform squirrel removal in Dallas and the surrounding area, but we can also remove other rodents as well as bees. We even offer mold remediation and insulation replacement services. Call us today at 786-529-1237 to learn more about how to get rid of squirrels in your attic. You can also schedule a squirrel removal service to combat the problem once and for all.